This article teaches you how to setup D-Link DHCP settings on the computer. Step 1: Open the Control Panel on your PC. Select Network Connections. Step 2: Right click the adapter and select Properties. For Ethernet (hardwired) adapters, use the item listed as Ethernet Adapter Local Area Connection. For Wireless adapters, use the item listed as Ethernet Adapter Wireless Area Connection. Step 3: Scroll down the list of items and select Internet Protocol (TCP/IP), then click Properties. 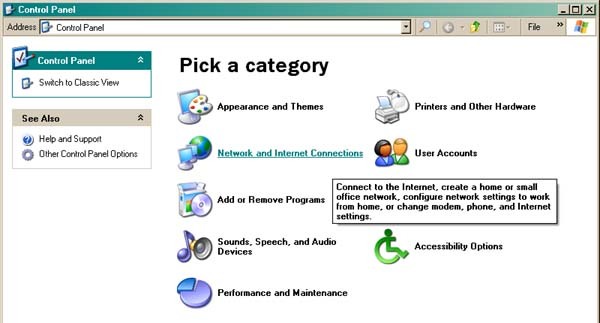 Step 4: Select the radio button labeled Obtain an IP address automatically. 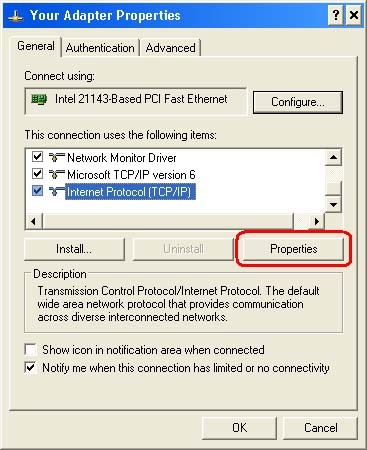 Step 5: Click OK on the Internet Protocol properties window to save settings. Step 6: Click OK on the adapter´s properties window to save settings. 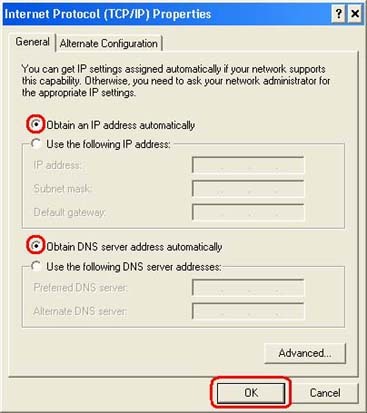 Your adapter is now set to obtain its IP address using DHCP. 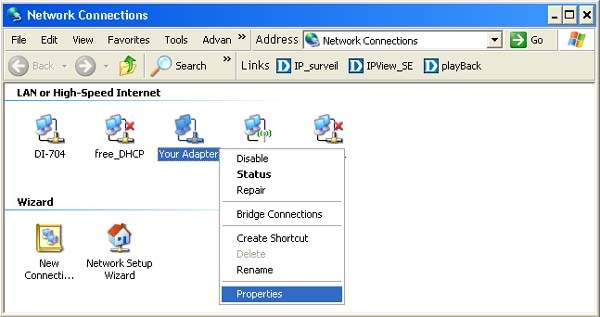 You may have to right-click the adapter and select Repair to request the new IP using DHCP.